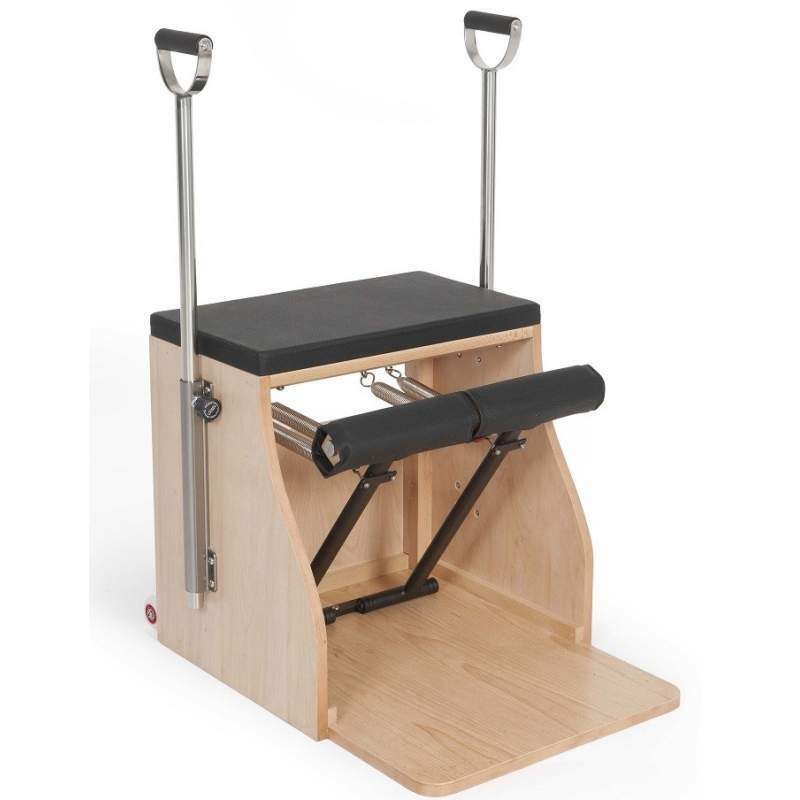 The Elina Pilates Wood Combo Chair offers a choice of 4 spring positions for each spring. Adjustable length of the handles, 50, 46.85 and 43.70 in. 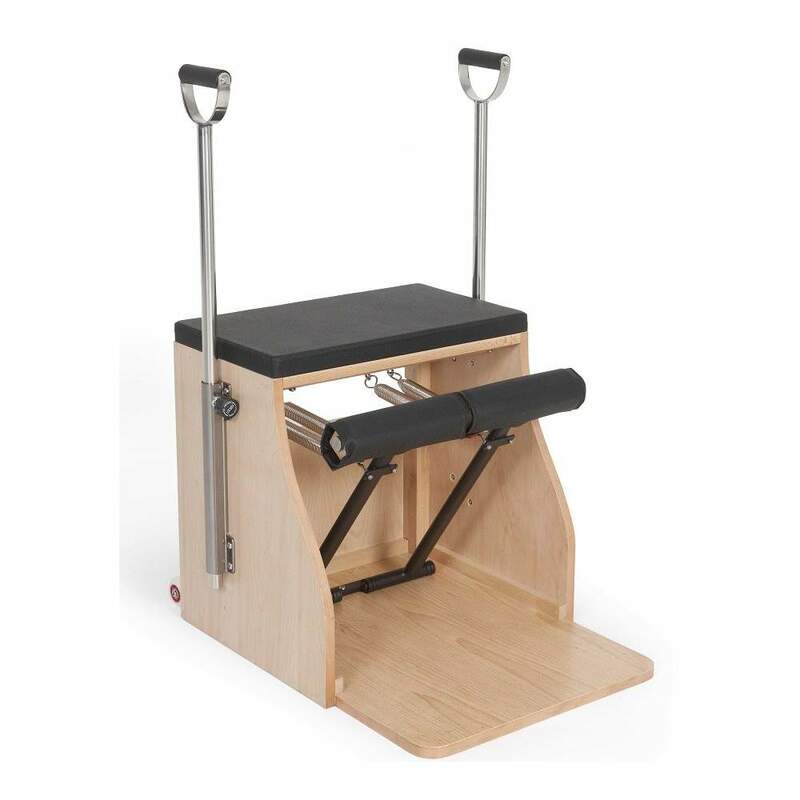 The Elina Pilates Wood Combo Chair (often referred to as a Wunda chair) offers a choice of 4 spring positions for each spring and 2 spring strengths to provide a wide variety of resistances. The removable handles adjust easily via a single ‘twist and pull’ knob and offer a height range. The pedals are easily joined or separated using a simple locking slider underneath the pedals. 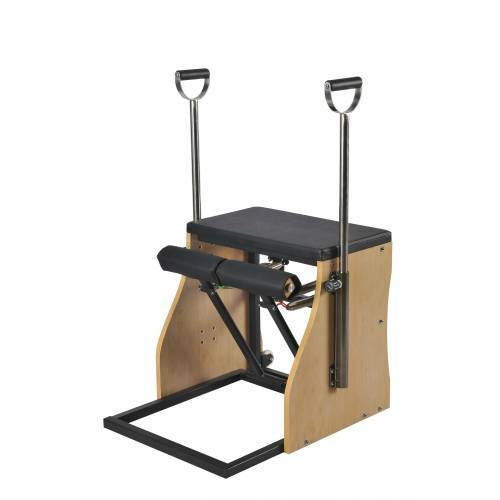 Wheels allow for easy movement of the apparatus. Elina Pilates New Style. Build of top quality wood. Adjustable length of the handles: 50, 46.8 and 43.7 in. Handles covered with a special rubber foam, very comfortable and strong. 4 springs: 2 medium-green color and 2 heavy-red color. Very strong. Environmentally friendly material. Different colors.